Dallas is the third-largest city in the state of Texas and the ninth-largest in the United States. Dallas covers 385 square miles (997 km²) and is the county seat of Dallas County. 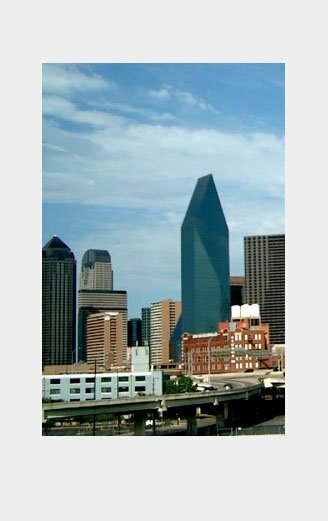 As of July 1, 2006, U.S. Census estimates put Dallas at a population of 1.2 million. Dallas is the main economic center of the 12-county Dallas –Fort Worth – Arlington metropolitan are at 6 million people, it is the fourth largest metropolitan area in the United States. Dallas is listed as a gamma world city by the Loughborough University Globalization and World Cities Study Group & Network. Dallas was founded in 1841 and formally incorporated as a city on February 2nd 1856. Dallas is well known for its role in the petroleum industry, telecommunications, computer technology, banking, and transportation. Dallas is the core of the largest inland metropolitan area in the United States and lacks any navigable link to the sea. Dallas's prominence despite this comes from its historical importance as a center for the oil and cotton industries, its position along numerous railroad lines, and its powerful industrial and financial tycoons. Fun things to do in Dallas Texas! Check out Las Colinas and the Mustangs of Las Colinas near Dallas Texas. Bigger than live sculptures of a herd of mustangs and a fun fountain. The JFK memorial commemorates the 35th president who was assassinated in 1963 in Dallas Texas. Check it out! Free admission! Check website for details. Have a fun and relaxing day at Arbor Hills Nature Preserve. Bring a snack and a picnic blanket and enjoy the day. Discover the fun and exiting history of Thanksgiving. It's free! Visit website for details. Go sky diving in Dallas Texas! Go on a balloon ride in Dallas Texas!! Go bungee jumping in Dallas Texas!